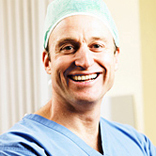 Doctor Ravenscroft is a Consultant in Anaesthesia and Chronic Pain Management. He has worked with Stephen in both the NHS and private sector for the last 10 years. As a patient you are likely to meet Andrew on the day of the operation, but if you have particular concerns about having a general anaesthetic he is happy to speak to you by telephone or in person at your request. Consultant Anaesthetist Dr Webster became a Consultant at the City Hospital in Nottingham in 2003 and has worked with Stephen McCulley since 2004. She is the principal anaesthetist for many of the complex reconstruction cases that are performed either in the NHS or privately. She has been performing anaesthetics for cosmetic surgery since 2006. Valerie is the practice Secretary and manager and has 9 years experience in the Cosmetic industry. She has been working with Stephen McCulley since late 2012 and become a valuable member of the team. She will arrange all your bookings and surgery but is also a valuable source of information about your treatment if you have any questions. Consultant Plastic, Reconstructive and Aesthetic Surgeon. Stephen McCulley is based at Nottingham’s renowned City Hospital, which is an NHS hospital and a leading centre for breast cancer care in the UK, where he is a specialist in the treatment of breast cancer and breast reconstruction, having achieved national and international recognition in this field. In fact, it was Nottingham’s reputation as a centre of excellence for breast cancer that attracted him to Nottingham working with an established team providing patients with a comprehensive and often pioneering breast reconstruction service. He is one of the few Consultants in the country that can offer both the cancer surgery and the full spectrum of breast reconstruction options. He also works extensively as a Cosmetic Plastic and Reconstructive Surgeon offering private patients the latest techniques in Cosmetic surgery, whichever aspect of your body or face you wish to improve. His private practice is well established in Nottingham over the last 10 years and attracts people from all over the country, as well as the East Midlands. He consults from his own practice, The Redcliffe Rooms in Mapperley Park, offering both consultations and cosmetic treatments from this new and very modern location. Most surgery is based at either the Park and Nottingham Woodthorpe hospitals in Nottingham. He is registered with the General Medical Council (No 3336078) and on the specialist register for Plastic Surgery, is a member of the British Association of Plastic, Reconstructive and Aesthetic Surgeons (BAPRAS) and the British Association of Aesthetic Plastic Surgeons (BAAPS). In addition, he lectures for the Royal College of Surgeons and at many international meetings and has written many scientific articles. If you’d like to read these articles you’re very welcome, simply visit www.pubmed.com and type “mcculley s” in the search box. He believes in an honest and open approach to consultations, giving realistic and achievable options to patients. He has an excellent team of exceptional anaesthetists, specialist nursing and secretarial support to ensure you have the right information throughout your treatment journey.